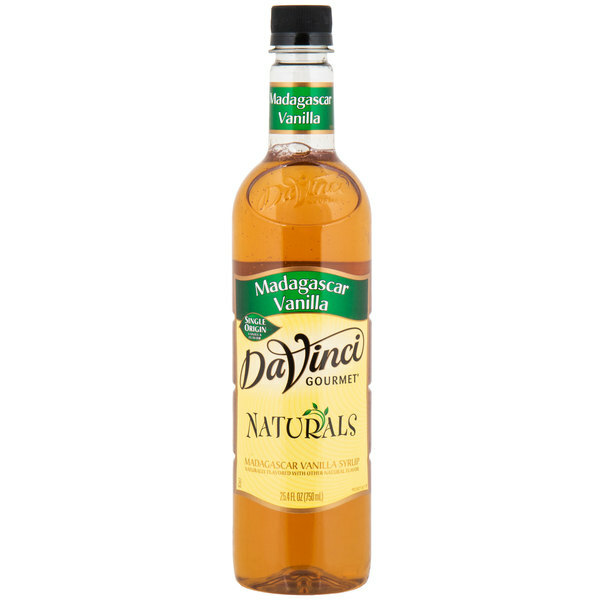 DaVinci Gourmet all natural flavoring syrups, like this Madagascar vanilla syrup, are naturally delicious, providing consistent quality flavor without the artificial flavors, colors, or preservatives! Made with pure cane sugar, this flavoring syrup is perfect for adding sweetness to your signature coffee drinks, hot cocoa, and mixed dessert drinks. Since it is shelf stable, you can proudly display this all-natural product along your bar or counter. 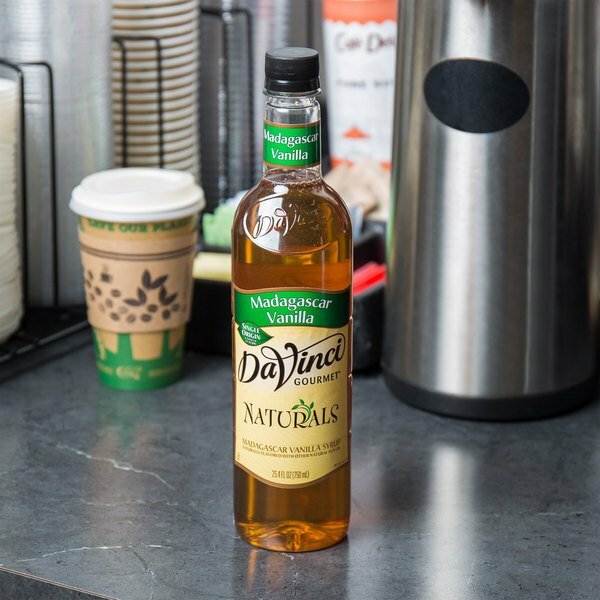 Bring all-natural vanilla sweetness to your coffees and desserts with DaVinci Gourmet Madagascar vanilla all natural coffee flavoring syrup! The vanilla beans in this syrup were picked and cured in Madagascar, giving it strong authenticity that your customers can taste. Try it drizzled on vanilla bean cheesecake for enhanced flavor, or as a subtle addition to specialty coffees. One splash of flavoring syrup goes a long way, and flavored beverages made from this flavoring syrup enhance your menu with new and appealing, all-natural items! This user-friendly plastic bottle is easy for your baristas and restaurant staff to handle. 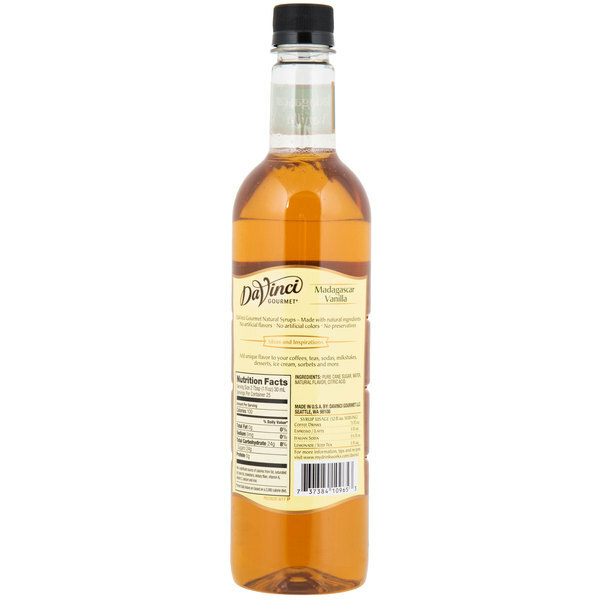 Sold in gourmet coffee shops, specialty food stores, food service outlets, and grocery stores, DaVinci Gourmet products, like this all-natural Madagascar vanilla syrup, have a long history of commitment to quality and superior taste. The Madagascar Vanilla flavoring is excellent and a truly wonderful style syrup for our café. The syrup is great for making the ultimate vanilla frappe.